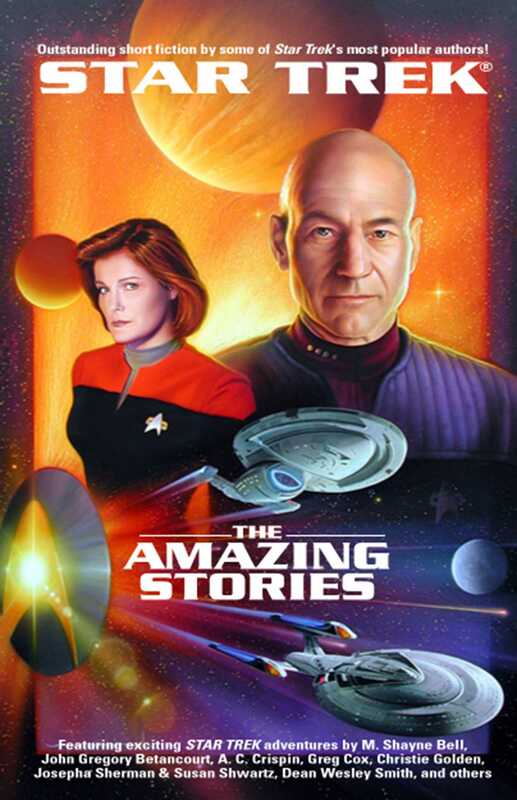 From 1998 to 2000, Amazing Stories, the world's oldest science fiction magazine, presented a series of original Star Trek stories written by a number of bestselling authors. Now these little-seen Star Trek adventures are collected here for the first time, together with new tales written especially for Star Trek: Amazing Stories. Spock comes to terms with the death of his father in a touching tale from A.C. Cripsin, author of SAREK; Counsellor Troi risks everything to aid the evacuation of a dying planet; Seven of Nine learns a lesson in humanity when the USS Voyager takes on some unusual alien visitors; Beverley Crusher discovers that holographic doctors take some getting used to, especially during a medical emergency; and Captain Proton, Defender of the Earth, faces the awesome menace of Space Vortex of Doom.